Cabinet Type Sandblasting Machine gives a large sort of application functions. 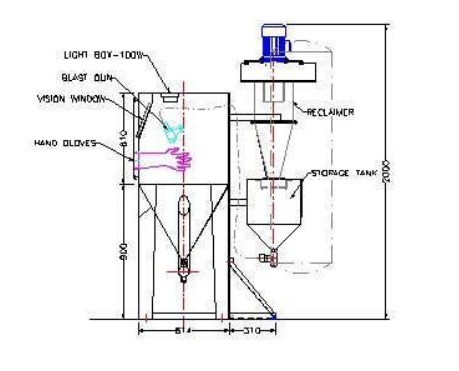 Our sandblasting machine comes in an in depth vary of sizes and is employed with nearly any dry abrasive blast media. The blasting of enormous areas or batches of tiny elements are simply achieved with these systems. Cabinets are ideal for lower volume applications wherever price may be a issue. These systems are accessible during a wide range of sizes to accommodate nearly any size half and are designed for faster blasting furthermore as a lot of regular usage each of those vogue cabinets can be tailored and changed to fulfill the desired project specifications. Cabinet type sand blasting machine is far helpful for the surface preparation. During this machine, the cyclone separation system and dirt removal system, the extractor can separate the abrasive from a bust. The dirt removal system of this technology will handle and collect emit useless dirt, dirt removing impact of excellent cut back the price of abrasive and improve the potency of virtually each style of the surfaces. the simplest a part of this machine, it’s environmentally friendly, at the time of the operation there’ll be no pollution at your area. 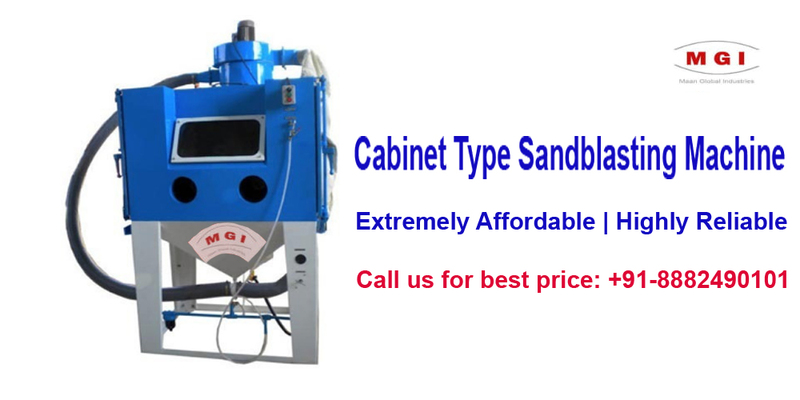 Call us immediately for Cabinet Type Sandblasting Machine in India or email us.